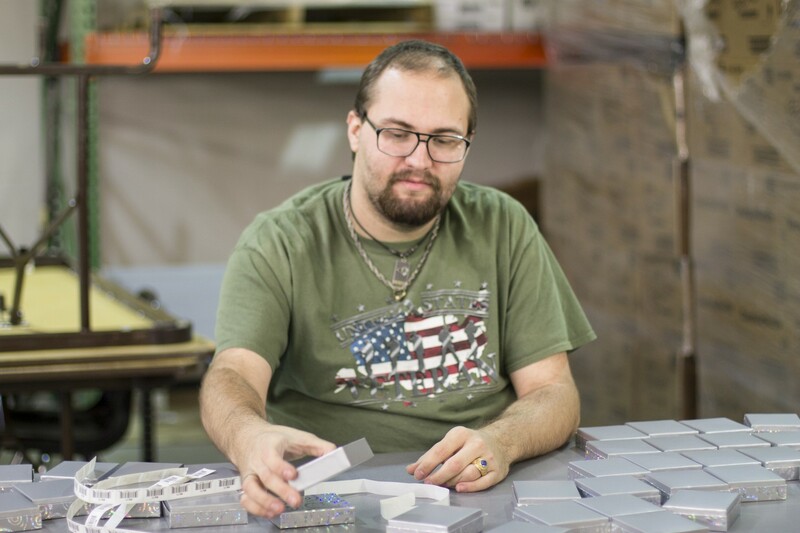 Retail Services - Canterbury Enterprises Inc.
Our retail services include attaching or replacing price tags and labels, assembling and stapling, and repackaging. Outsource your retail services, and let us handle these tedious, time consuming tasks for you. Customers may request labels only on the packages themselves. Here Justin verifies the product placement then labels the outer box. 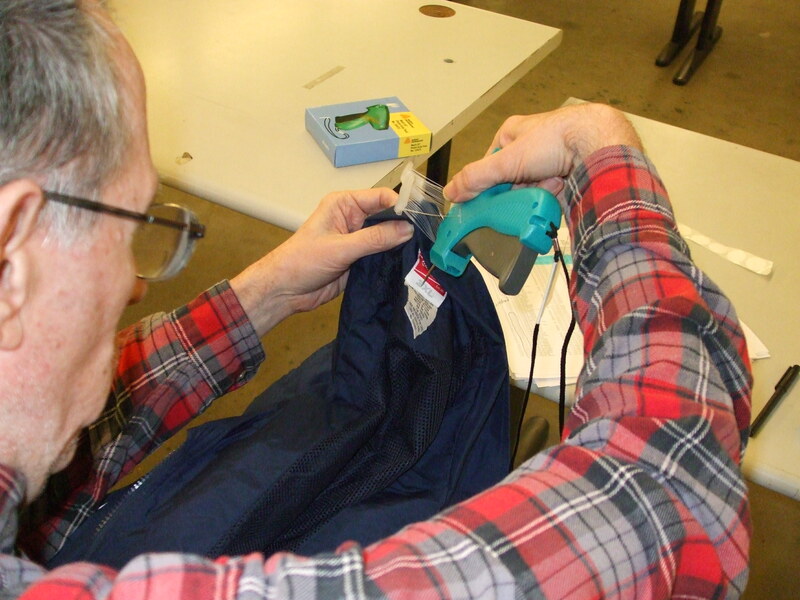 We apply tags to garments prior to shipping.